Welcome to Village Santa Cruz County (VSCC), a non-profit, grassroots membership organization. We are a network of Santa Cruz city and county residents with a vision of aging as an active, empowering time of growing and learning, as important and meaningful as any other time of our life. 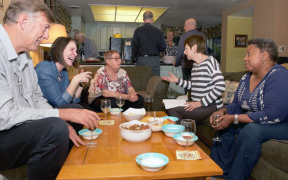 Our goal is a vibrant, caring community, neighbors of all ages helping each other, so we can stay in our homes and engaged in our community, through all the transitions of aging. Need to get started on your advance directive? 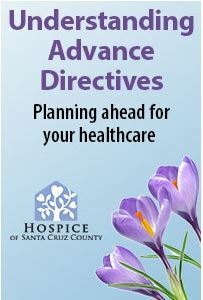 Hospice of Santa Cruz County is offering a workshop and one-on-one support sessions at the Downtown branch of the Santa Cruz Public Library on Tuesday April 9th and April 23. Losing keys, misplacing a wallet, or forgetting someone’s name are common experiences. Most of these memory lapses are normal—and have more to do with the increasing amounts of information being thrown our way than with any real cognitive decline. But for people of a certain age, memory lapses can be frightening. Here are some guidelines from the American Psychological Association and a short video from AARP. The AARP website also has a brain health section with tools, information and activities that is free for members. A medical alert system can a valuable investment for any senior. 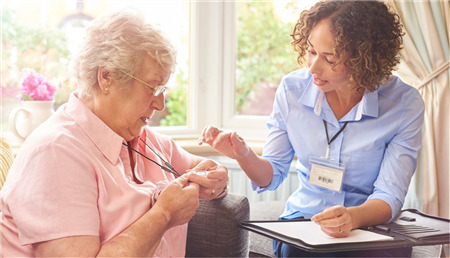 Having a medical alert system means that help is available at the touch of a button in the event of an emergency, giving seniors and their loved ones reassurance and peace of mind. But how do you know which one is best? Here are two resources shared by some of our sister villages. If you're in the market for a medical alert system, read the background information and guides, then read the product reviews. Physical activity is an important part of healthy aging. 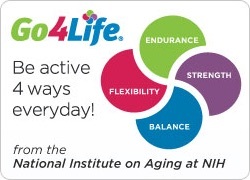 To help you fit exercise and physical activity into your daily life, the National Institute on Aging created the Go4Life campaign. Go4Life offers free, evidence-based resources for older adults in one convenient place. Stria News, an online media platform for the longevity economy, published this piece that features Village Movement California and the Village to Village Network. Thanks to and for your support!